2014 has been a very busy and extremely rewarding year for all at FLP. Our work has expanded to include 5 new schools in our Nal’ibali Reading Clubs, additional bereavement counselling groups in Stepmore and Lotheni, new drama groups in Bomvini and Mkhohlwa, Peace Clubs in all of our child to child groups, new Khulisa Abantwana Home Visiting material developed and piloted in the FLP adult groups, new Khulisa Abantwana Home Visiting groups trained in the Underberg and Himeville low-income housing developments, and the very exciting development and writing of traditional African Stories and re-versioning of existing stories, in the Mpumlwane and Ndodeni groups, as part of the African Storybook Project pilot programme. We were happy to receive a wonderful donation of 3244 Zulu books from New Readers Publishers in response to a proposal mailed to them. Rotary SA has made a wonderful contribution of Wonderbags to all of the staff and group members of FLP. These are already being put to good use, with some of the group members recording a 40% drop in their fuel usage when they cook. 2. African Storybook Project: Zimbili Dlamini, as coordinator for this pilot programme, has worked tirelessly to collect traditional folk tales and traditional stories from her group members. She has, along with Sheila Drew and Jill Frow, conducted various storytelling and story writing workshops for the 2 FLP Adult Groups she facilitates. We are happy to announce that Zimbili and her groups have met all programme deadlines and produced stories of a high standard. We are excited about the possibilities that this programme has for getting traditional stories into print poor environments. 3. Children’s Chance for Life: In addition to the other projects CCFL supports, they continue to provide invaluable support to rural farm schools. Their “Whole School Programme” has, in addition to upgrading School facilities in Farm Schools, seen qualifying candidates receive support to attend schools and colleges. There are currently FET College students and University students on the programme. One student, Phumla Ngcobo, is in her third year at Rhodes, studying Journalism. Lungisani Zondi, one of the Senior School students that has been on bursary since Grade R, has recently been selected to attend the Maritime Academy in Cape Town, on a full scholarship. 4. Generation Joy Foundation USA: We continue to work very closely with Generation Joy in their drives to collect educational supplies for the schools we work in, the students we support and the Adult Groups. After their visit to FLP in July 2014, they are working tirelessly to acquire sets of ECD Educational items for all of the Home Visitors at FLP and in the Community Work Programme, Government Partnership we provide support for. Generation Joy has engaged a preschool and is encouraging their children and parents to collect all of the items required for the Home Visitors bags which will ensure an enriched educational experience for all homes visited. They are also collecting Educational toys for our libraries, which may be borrowed by the Home Visitors to assist them when they visit homes with 0-6 year olds residing in them. 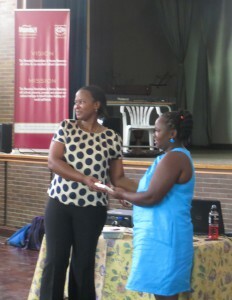 In addition, they have provided bursaries to vulnerable orphans, in order for them to be able to attend school. I have been invited to visit them next year in order to speak at various schools and colleges about the Khulisa Abantwana Home Visiting Programme and the partnership that we are currently engaged in with Government and the Community Work Programme. 5. Nal’ibali: The Nal’ibali Reading Clubs are vibrant groups of children that have such a hunger for reading. I love visiting the groups in the schools that we partner with, in order to watch the FLP Facilitators enthral the youngsters with their storytelling expertise. The Facilitators use a variety of methods to bring to life the various stories that they tell. I have seen puppet shows, dramatizations and role play where groups of children in the audience sit, enthralled to the point where one could hear a pin drop! The new groups that FLP has started continue to develop and grow more and more enthusiastic about reading, with each weekly Nal’ibali Reading Club meeting. 6. 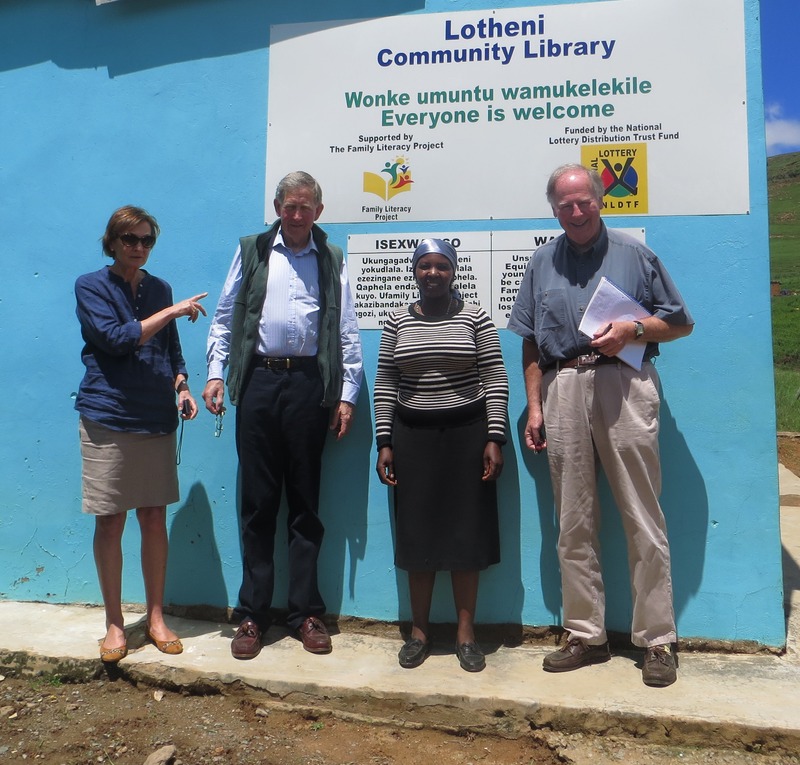 The new FLP Kwabhidla Community Library: The members of the Ingonyama Trust that oversee the property on which the new FLP Library is to be built have given us full approval to go ahead. I recently met with a delegation of Kwabhidla community members and the Ingonyama Trust Surveyors in order peg out the boundaries for the Library grounds. We are extremely grateful to the Daitz Foundation and Project Build for their support in this initiative. 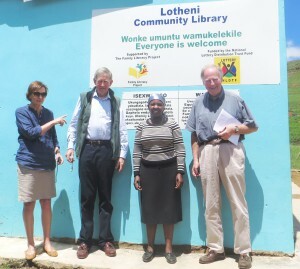 We are optimistic that construction of FLP’s newest Community Library will begin in 2015. 7. Khulisa Abantwana Home Visiting: The programme continues to run very successfully in all of the FLP groups, with 2 additional areas being included in 2014. Zimbili Dlamini and Florence Molefe have, in 2014, trained a group of new Home Visitors from the Underberg and Himeville area in the KwaSani Municipality. The group has been actively involved in the 2 “townships” visiting families of neighbours and others that have children of 0-6 years old residing in them. The programme has been a success and new insights have been learned about how “urban”, township groups differ from the deep rural groups where FLP has conducted Home Visits since the Project’s inception. Xolani Mofokeng and Jacqueline Horn continue to conduct training for all of the FLP Facilitators in the new Khulisa Manual that Snoeks and Jacqueline co-wrote. It has been very encouraging to see the Home Visitors embracing this new emotional intelligence and psycho-social material that we have developed. To find out if carers could think about taking initiative by arranging events for their toddlers without FLP. What emerged is that the Khulisa Abantwana programme is bringing about change at many levels. This study showed that the carers have understood and are practising parenting concepts, ranging from healthy diet and immunization to the importance of spending quality time with their toddlers, using every opportunity to communicate words and skills. The study also paints a picture for us, of young children who were vulnerable, but whose ‘buckets are now being filled’. 8. Libraries: The libraries and their resources continue to be well cared for, the facilities are open and welcoming to the communities they serve. Now that Repairs and upgrades have been done at Stepmore and Lotheni Libraries, everyone feels even more proud of this communal facility. Children continue to visit the library where our Library Assistants and Facilitators encourage them to divide their time outdoors on the jungle gyms and indoors listening engaging in the planned activities such as reading and listening to stories, playing games and building puzzles. 9. School Support Programme: Nompies Mbokazi and Zinhle Mbanjwa provide much support to the children in the respective Schools where they are working. 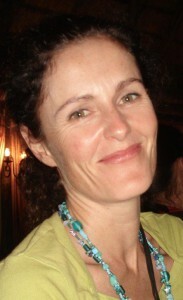 Nompies, a Grade 1 Educator at Goxhill farm School bases all of her “curricular CAPS work” upon the emphasis of developing sound reading skills. The new playground equipment we built is complete. The Generation Joy Foundation kindly supported the construction of the playground. Zinhle continues to work in the Underberg School Mastery Unit, where she supports reading and writing with additional language learners. In addition, she provides Psycho Social Support for students in the Hostel where she resides and ensures that they receive all of the support necessary to keep them healthy and happy. 10. Drama: Xolani Mofokeng currently runs 2 drama groups in Underberg and Himeville Low Income housing developments, and 2 drama groups in Bomvini and Mkhohlwa and . The 70+ preteen and teens in these groups meet twice weekly and develop and perform skits and dramas written and produced by themselves, reflecting the issues that they face in the community, school and home. The groups have performed at community events as well as at local schools when invited to do so. The group from Bomvini raised money and travelled to Underberg to meet their FLP Drama fellow groups and put on a full Saturday of Dramas. It was a wonderful event with much being learnt in the process. The same group is competing in an Umzimkulu Municipal community Drama competition this month. 11. Soccer Clubs: Our boys and girls teen soccer clubs have, once again, had a successful year with many of them competing in finals in the local community, as well as at inter-municipality tournaments. The 79 boys and girls train twice weekly and play matches on weekends. 12. Asifunde Sonke Teacher’s Training Centre: We have come to the end of a very busy but productive year for both Saturday and Wednesday groups. For the Saturday group the finish line is in sight. These 16 students have now completed 10 of 12 Unit Standards. As stated in previous Reports, these Unit Standards include 8 Care Components, 4 Elective Components and, for students without a Matric Certificate, 3 fundamental Unit Standards are added. Out of the class of 16 Saturday students, only five will have to complete these fundamental Unit Standards: Mathematical Literacy and Communication 1 and 2. We plan to complete the Programme within the 2-year period as stated at registration. The Wednesday Group of 21 will complete the fourth Care Unit Standard by the close of the year. We enjoyed a Verification Visit by the Directors of the Teachers’ Training Centre (our service providers), Dr. Jennifer Calvert and Sandy Bauermeister, in August, who proclaimed themselves ‘bowled over’ by what they saw during their visit, being impressed with the standard of both Groups. The Portfolios of Evidence (POEs) have been assessed by the Service Provider in the work completed thus far and all students have been declared competent in the completed Unit Standards’ Assignments. The POEs are beautifully presented, evidence of the students’ hard work and motivation. Our 37 students represent 35 schools in an area embracing Mqatsheni, Broteni, Stepmore, Himeville, Goxhill, Underberg and Creighton crèches. Once, these were merely “drop-off” points for toddlers and Grade R learners. Asifunde Sonke is making a difference in their Early Childhood Education and Development. Strategies used in managing the learners during the lesson. The students all achieved well during the assessment and were declared competent in their Workshop Assessment. This evidence is included in their POEs for final verification by SAQA, SETA and E.T.Diploma. The School in a Box concept continues to make a difference in the standards of teaching in the crèches which qualified for this resource. A Level 5 Course will commence in 2015, after all 16 Saturday students have completed and graduated with their Level 4 qualification. We also plan to offer another Level 4 Class next year, as the need arises. This will depend on funding. 13. Key-Hole Gardens: The FLP group’s 15 Demonstration Gardens are all greened up again. The gardens were very successful last year. Florence Molefe, one of our coordinators, oversees this project and procures the array of seedlings the gardens require in order to deliver a variety of nutrients necessary for healthy growth of children. The groups do all of the preparation of their gardens and collect manure and compost that is dug in, in anticipation of the seedlings. The vegetables that are grown are then shared equally amongst all that contribute to the garden in some way. 14. 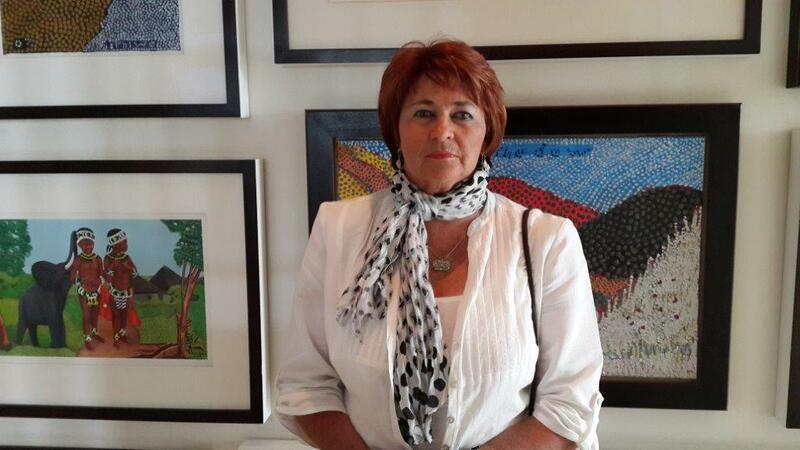 Transactional Analysis Coordinators Training: Karen Pratt, an international Trainer, with vast experience in NGO’s, conducted a certified training course for all of the FLP Coordinators. Transactional Analysis is a set of concepts that systematically facilitate personal growth and change. It develops improved communication in organisations, where staff are encouraged and trained, to communicate more freely across all levels of management. This type of communication fosters a move away from a hierarchical type of management to more of a collaborative style. Transactional Analysis uses an easily accessible language to describe and understand experience and behaviour. The first half of the year has been a very busy time with lots of visitors and training, in addition to constantly meeting in order to engage the coordinators and facilitators in assisting us to explore ways to seamlessly merge the two projects and the work that they do, without compromising the identity and value of the work that was previously done by the two separate projects. In addition to this, which I must add is progressing very productively, I am adapting to an office bound approach, while I grapple with funding proposals and the unique reporting requirements each funder requires. It has been a steep learning curve that continues to engage me, yet I relish the wonderful opportunities that this merger has provided for us to meet more needs and share the valuable learnings each project can put bring to the table. The African Storybook Project: (ASP) – The reading literacy levels of most of the continent’s children, after the foundation phase of schooling are far from adequate, both in providing the basic ability to read as well as the literacy necessary to proceed to the next level of schooling. There are many reasons for this. One of the fundamental lessons learned from the FLP Rural Libraries, whether they be box libraries, or the actual library buildings that we have built, is that one of the key obstacles to learning to read is the paucity of appropriate stories for early reading in languages familiar to young African children. Since the majority of young Africans have very little to read in familiar languages, they often do not learn to read well, or enjoy reading as much as they could. This in turn means that there is not a market for African language books and publishers cannot afford to produce many such books. So young learners end up with very little to read and the cycle often continues. FLP is constantly engaged in sourcing the most appropriate books in order to nurture the love of reading, amongst children as well as adults. The success we have experienced in developing a love for reading, individually and as a shared pleasure, has required a constant “search and source” for good material, that will provide the necessary stimulation to keep this love of reading sustained. Project and FLP to develop a partnership and agree that FLP will pilot the use and development of the stories used for the open source Project. FLP and ASP encourage the development and nurture, within the FLP Groups, of collecting and translating local stories. This extremely exciting venture is well underway and we are very excited about the inclusion of stories that FLP has translated and versioned, as well as stories that are currently being collected in our groups. Nal’ibali reading for pleasure initiative – FLP has 27 children’s reading clubs and 1 teen club for research purposes – 637 children in total. Children love making their own books from the Avusa supplements, and Phumy Zikode, our literacy coordinator, produces learning units that our facilitators use in their Reading Club sessions. The Nal’ibali website and the supplements are full of ideas on how to get children reading, writing and telling stories. We are very proud to announce that a total of 1150 Children from our various FLP groups participated in the National Read Aloud Day, on 5 March. In addition, Nal’ibali runs workshops for our Facilitators in order to “spark” them into running the most interactive reading clubs for children that one can imagine. We have children absolutely enthralled at these sessions! The Community Work Programme – We are training 175 women as home visitors in Sisonke District in the Community Works Programme. We have been shocked to see that there are still so many children who are living in extremely difficult circumstances within our district. We train small groups of 15 women once a month, so we have opportunity to work closely with them over time to ensure they are learning, developing, and constantly improving the quality of their work with families. Jill Frow, Zimbili Dlamini and Florence Molefe continue to do a wonderful job working with these women who have no ECD background. The Valley Trust – we are still currently training coordinators and facilitators to run adult groups in their catchment. The groups are trained in family literacy and the Reflect approach, to equip them to work with adults. Chris Gibson continues to cover the IMCI materials. Save Act – Our partnership with Save Act is flourishing. They have started training further FLP groups as well as other community groups in the area. Save Act recently appointed a field worker that is dedicated to the Sisonke Municipal region. They make use of our Resource Centre for all of their local training and meetings. This has allowed them to use the central venue for training. It assists them to work very productively and they have access to our resources. Five FLP network groups have been successfully running their savings club for the past three years. Africa!Ignite Story Tents – This innovative project is travelling around KZN visiting provincial libraries, erecting a story tent for a week at a time, in order to encourage people to visit the libraries and participate in a variety of literacy related activities. 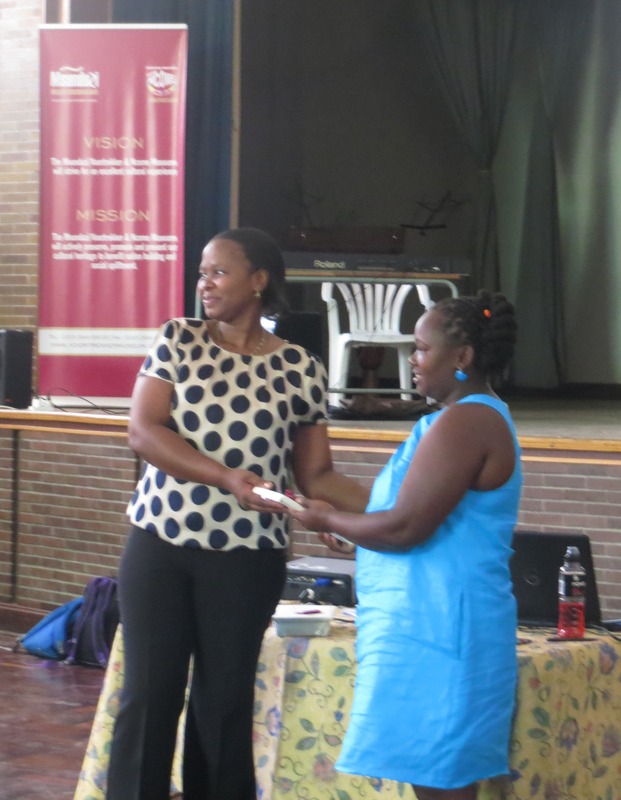 Phumy Zikode, the FLP Library Coordinator, will train their staff to read to children. Uthando Doll Makers – Uthando Dolls, has continued their support for FLP by donating dolls for the Khulisa CWP groups. Georgia Efford, the founder of Uthando Doll Project, is also currently working on dolls, with Australian doll makers, for our Dlalanathi Bereavement groups. We continue to be deeply touched by these volunteer doll makers, who give so freely of their time and resources to make beautiful, soft black dolls for our children. Peace Club Initiative – We are running very successful Peace Clubs with our children. We are finding that they are being challenged to resolve conflicts peacefully by providing them with the requisite skills necessary to enable this. Phumy Zikode writes the units for the Peace Clubs, and these are then used in conjunction with the Peace Club Manuals to learn and practice the necessary skills that provide the necessary platform for them to learn new skills, exchange experiences, teach others and apply the knowledge of peace in their everyday life. Sharon Kotze, who heads up the Peace Club initiative in SA, will be continuing the FLP training, in order to ensure that our Facilitators remain Peace Ambassadors. 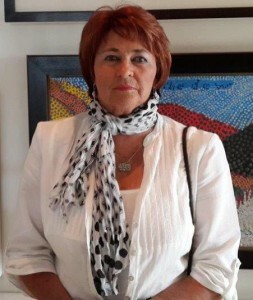 Khulisa Underberg – The Grindrod Family Centenary Trust has supported an ambitious programme where they have co-funded the development of new material for the home visiting programme, where there is new material included on health and nutrition as well as psychosocial skills for parents. Snoeks Desmond has co developed this material and we are very excited to begin piloting this in the existing FLP groups in the second half of 2014. In addition to this, a pilot home visiting programme is being conducted in the Underberg and Himeville RDP housing developments. The programme is progressing well, with a lot of “new learning” emerging from the pilot. We are striving to have lots of homes in the township benefiting from the ECD skills that the home visitors bring. Generation Joy Foundation – We are very happy to be hosting the Gen Joy Foundation during July. The partnership that we have forged over the past 10 years has seen us extend our programmes to include many schools and areas we would not have been in a position to assist were it not for their selflessness. We will supply Sports Uniforms to our teen sport’s groups, conduct training with the FLP facilitators and Coordinators, local educators as well as community members, in counselling skills. Two Psychologists will conduct these workshops in order to build upon our psychosocial programme that we already offer. The stationery, art supplies and school resources that they provide and ship to SA through the generosity of Children’s Chance for Life, assists all of our partner schools to ensure that no child lacks the material resources to participate completely in the school programme. – Underberg School Mastery Unit training.